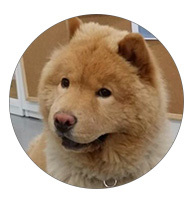 Marie Choo is The Dog Alchemist, a dog behaviourist and trainer who uses positive and motivational techniques to convert a dog’s undesired behaviour into desired behaviour. 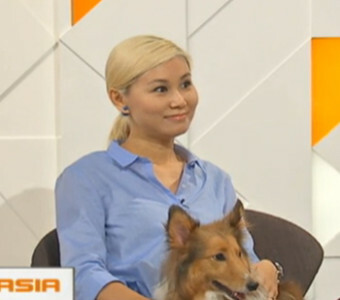 Once a Public Relations professional with her own company, she has decided to give up her full time job to pursue her passion in dog behaviour and training. 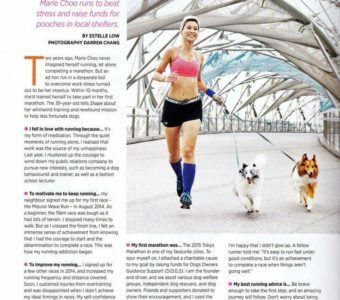 Marie is also the co-founder of D.O.G.S – Dogs Owners Guidance Support, a dog welfare organisation in Singapore that supports dog shelters with food supply, and also aids in rescuing and rehoming stray and abandoned dogs. Through her volunteer work, she came to realise that she is blessed with a gift in helping dogs. 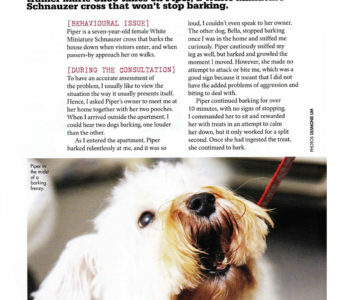 Hence, she went on with academic pursuit and got certified as a dog behaviourist and trainer. 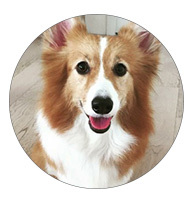 She was interested in dog training when she got Butter, a sable-coloured Shetland Sheepdog. Unable to find a dog trainer that can offer the type of training she was looking for, she started researching and trained Butter by herself. 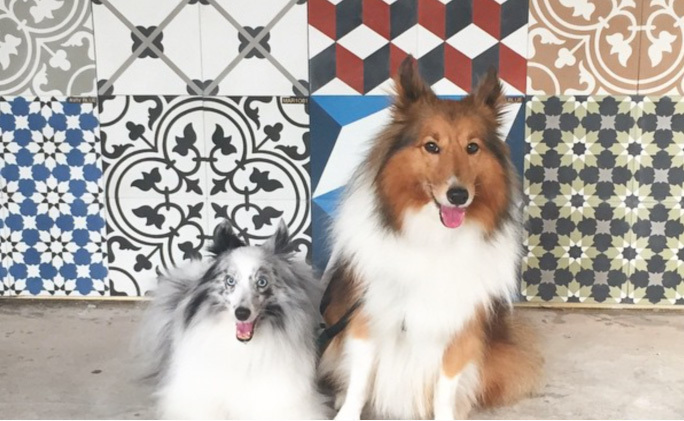 When Ash, a bi-blue sheltie came into her household a year later, she continued to evolve her training style onto the next level, learning more about the dynamics of a multi-dog household. Anyone who has met Butter and Ash would tell you that they are the most obedient, sweet-natured and easiest dogs to take care of. Marie believes that good canine citizens are cultivated and training plays an essential part in the development process. In 2011, Marie decided to volunteer at a dog shelter to help the less fortunate dogs. She remembered the first time she stepped into a shelter and was overwhelmed to see so many abandoned and rescued dogs. These dogs are hidden from society, only to be cared for by selfless people who love and treat dogs as sentient beings. Since then, she has rehabilitated many rescue dogs that were deemed aggressive at the shelters. She has worked with dogs that were so afraid of human contact that they were once impossible to be put on leash and go for walks. 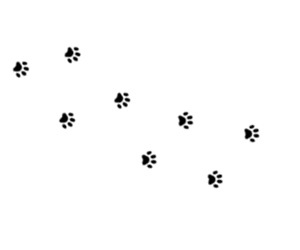 The Dog Alchemist’s logo incorporates Marie’s love for her two Shetland Sheepdogs – Butter and Ash. The crest holds firm her belief that dog training is an art of communication and a science of understanding canine behaviour and psychology. 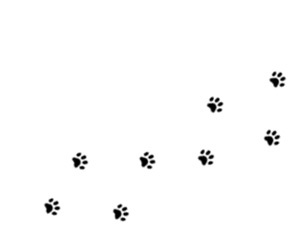 Using positive reinforcement of love, motivation and rewards, she guides the dog owner on how to modify a dog’s undesired behaviour into a desired one. In June 2016, Marie has successfully completed the WSQ Advanced Certificate in Training and Assessment (ACTA). It is a competency-based certification programme by Institute of Adult Learning (IAL) and it provides graduates with the essential skills to deliver training and assessments across different industries. "The training session was a good learning experience for me. Marie has given useful advice on how I can train my fearful dog Milo to take his first step out of the house without me having to drag him out. Milo has since improved and he is now able to walk out of the gate enthusiastically and without any fear to welcome us home. Marie has also taught me on how I can train my other dog Buffy to stop barking at strangers when she was not registered as part of the training session. The entire training experience was fun and enlightening and I am thankful for Marie's professionalism and dedication in helping animals." "I appreciate the Dog Alchemist's training because I feel that Marie goes down to the root of the issue that is causing the undesired behaviour of the dog. Plus you can feel the love she has for the dog. As the saying goes, it’s about training the humans as much as training the dog. So it was an educational experience for the us humans too, rather than teaching the dog a lesson. It is also about positive reinforecements, as opposed to some other method I have experienced in the past where negative reinforcements were being used. I would definitely recommend the Dog Alchemist to other dog lovers!" "We decided to enlist Marie's help with Sophie because she was pulling constantly on the leash at walks to the point of choking herself. She was agitated by children and motorcycles, and generally high-strung to the point that we stopped bringing her out for social gatherings or when we were dining out. On the first visit, Marie was quick to assess Sophie's behavior with new guests and talked me through the basics of instilling discipline with my furkid. She was patient and established good rapport with Sophie, within minutes of taking her for a walk downstairs. Marie's approach is hands-on and practical, she also makes the session interesting by sharing additional knowledge on canine-owner wellness. We ended our time with a happy, calmer Sophie. Thank you, Marie!" 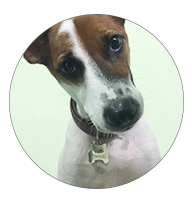 "Marie is a patient and hands-on trainer who personally demonstrates many lesson points, and then watches and guides as owners practice with their dogs. She is not in any rush and would rather the lesson go at a slower pace that allows for both dogs and owners to achieve their objectives. She is also happy to share other tips, such as the types of leash and collars that are helpful to correct certain dog behaviours. Lastly, she follows up with owners to provide further guidance and is happy to share advice beyond the lesson. The lesson we had was fun, informative, and results-driven. I’d ask Marie for help again if I ever need her!" "I am grateful to my vet who referred me to Marie. She is dedicated and passionate in helping our best friend and new pet poodle. 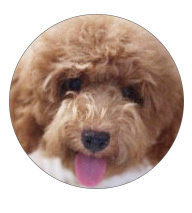 Button arrived at my home with serious separation anxiety that we could barely handle for days. 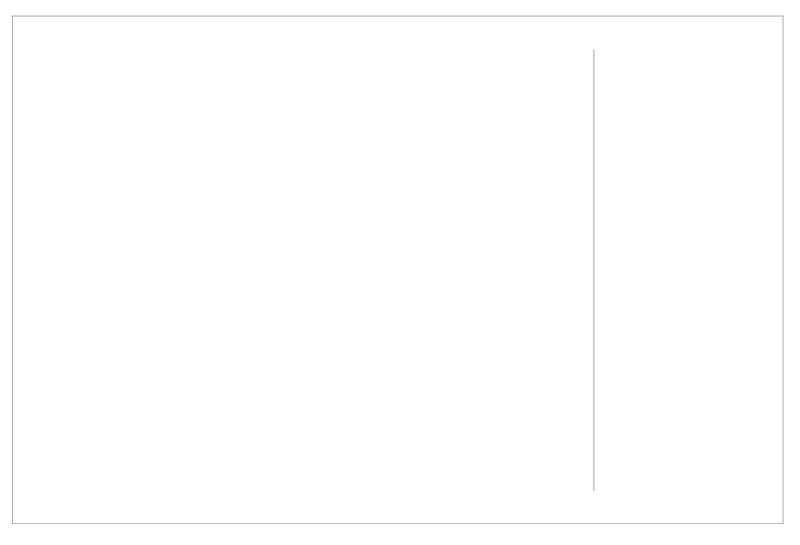 Marie without knowing who I was gave me some guiding points over the phone. She further followed up on Button and myself the next day. Marie then trained my 3 months old Button. I love and appreciate her training as she uses positive enforcement and was sensitive to my personal needs. 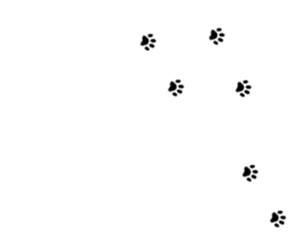 I will highly recommend Marie for any behavioural training for your dog." 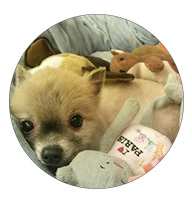 "We adopted Cookie the old Pomeranian from Voices For Animals, a shelter that helps to rehome ex-breeding dogs. Cookie is a 13-year-old dog fraught with several health and possibly psychological issues due to his life in a puppy farm. 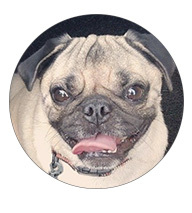 We approached Marie for help on assessing and correcting his behavioural issues that included being anti-social and reactive to other dogs, fearful of new places, soiling and not sleeping in his bed, and his incessant barking day and night. 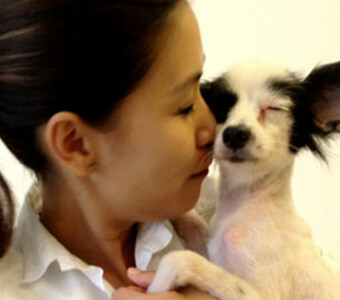 We sent Cookie for boot camp stay at Marie’s home and he came back a transformed dog. He no longer soils his bed and has learnt to pee only at the pee pad when he is in his playpen, he learnt to sleep on his comfy bed instead of on the pee tray, and his barking problem is now under control. Marie used her two Shelties to assist in the socialisation of Cookie and he is now more comfortable in the presence of other dogs. 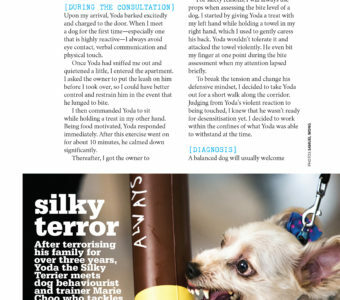 Marie also shared useful tips with us, such as using coconut oil on Cookie’s skin which greatly improved his skin problem. Thank you Marie for all the help you have given us."